The kids and I drove all the way across the country this summer to follow Jason from our old home in Raleigh, NC to our new home in the California Desert. Speed was somewhat important, but I tried to plan at least one fun or interesting stop for us each day. 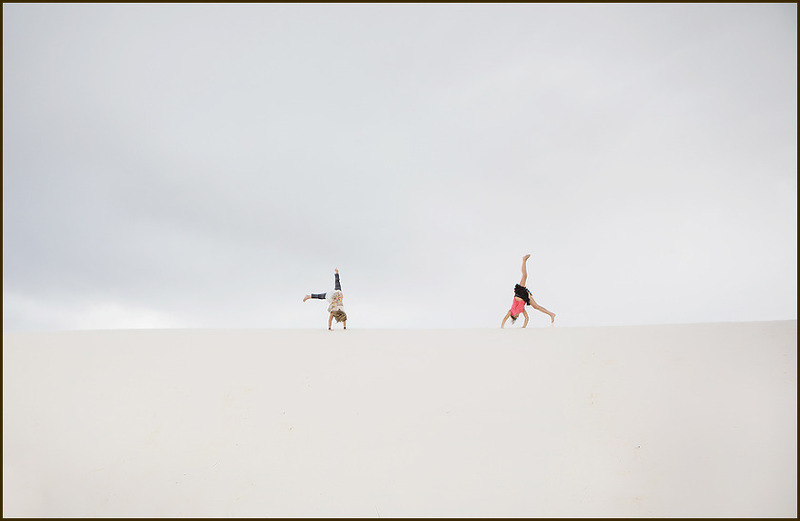 After a stressful drive through the mountains of New Mexico, it was a relief to pull into the visitor’s center at White Sands National Monument. Coming out of the mountains, the park looks like a thin, shimmering, sparkling band of white surrounded by the dull browns of the barren New Mexico wilderness. It’s only when you get close that you realize how big the park is. At 275 square miles, it’s the largest area of exposed gypsum sand crystals in the world. Before entering the park, there’s a little visitor center with a gift shop and a room with some illustrations of the local geology. We paid the fee to get in and also rented a couple of flying-saucer-style sleds and a fist sized chunk of wax. Back in the car and we followed the winding roads to the entrance. I was a little sad that it wasn’t a sunny day, as I had imagined bright sun and blue skies for our stop. However, the dramatic grey clouds over the rolling dunes made for a different kind of beauty. 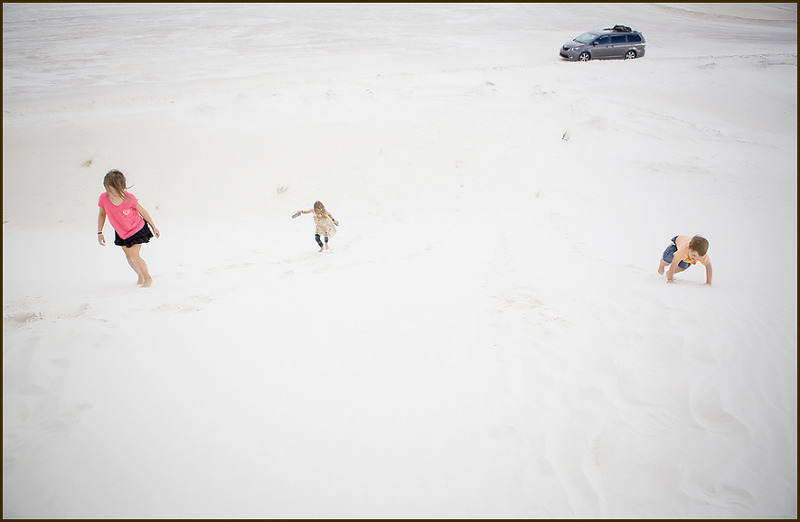 The dunes became whiter and smoother the farther in we drove, and the wind created mesmerizing dancing patterns of white sand across the dark asphalt of the road. We finally found a good place to stop and the kids bolted out of the car, happy to stretch their legs after 8 hours of driving. It was wonderful to just let them loose to run free and play as they liked, no rules or boundaries. We stayed until dusk, sledding, burying each other, rolling down the hills and dancing on the peaks of the dunes. As the light began to fade, the wind picked up and it started to sprinkle. Just as I turned around to call Claire back to the car, I spotted her dancing with abandon on the tallest dune, with misty clouds of white sand kicked up around her feet. A vision I’ll never forget in a magical place. Subscribe to the Blog to get Updates on New Posts!